The University Libraries has recently acquired an important scholarly resource, the Library of Latin Texts. 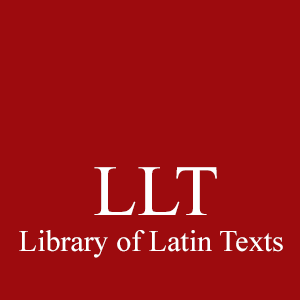 The Library contains texts from the beginning of Latin literature to the the Second Vatican Council (1962-1965). Literature from Antiquity (Plautus, Terence, Caesar, Cicero, Virgil, Horace, Ovid, Titius-Livius, the Senecas, the two Plinys, Tacitus and Quintilian and others). Literature from Patristic Authors (Ambrose, Augustine, Ausonius, Cassian, Cyprian, Gregory the Great, Jerome, Marius Victorinus, Novatian, Paulinus of Nola, Prudentius, Tertullian and others) It also contains non-Christian literature of that period (Ammianus Marcellinus, the Scriptores Historiae Augustae, Claudian, Macrobius and Martianus Cappella). 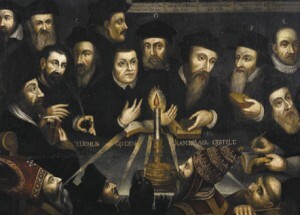 Literature from the Middle Ages (Anselm of Canterbury, Beatus de Liebana, Bernard of Clairvaux, William of St. Thierry, Sedulius Scottus, Thomas à Kempis, Thomas de Celano, the Sentences of Peter Lombard, the Rationale of Guilelmus Durandus and important works by Abelard, Bonaventure, Ramon Llull, Thomas Aquinas, William of Ockham and others). Neo-Latin Literature (decrees from the modern ecumenical Church councils up to Vatican II and translations into Latin of important sixteenth-century works). 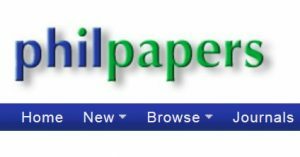 A trial of ProQuest’s database British Periodicals available to SHU students and faculty until December 18th. This resource offers research materials across many disciplines including history, literature, political science, journalism and the arts. The trial can be accessed here. The University Libraries are pleased to announce that we have recently acquired a site license for Thompson Reuters’ Checkpoint Tax & Accounting Software. While we did have a few individual licenses to this premium product in the past, we are now able to broaden the access as a part of the Libraries’ on-going efforts to provide information resources to as many of our students and faculty as possible. Checkpoint can be accessed here. For off-campus access, you will be asked for your SHU credentials. Tax, accounting and finance professionals rely on Thomson Reuters Checkpoint, the revolutionary, easily-searchable online system, to get straight to their answers. Checkpoint blends cutting-edge technology, editorial insight, time-saving productivity tools, online learning and news updates with intelligent linking to related content and software. Thousands of tax and accounting professionals rely on Checkpoint every day to understand complex information, make informed decisions and use knowledge more efficiently.